James Lunday and Michelle Carano take these rooms from funky to functional with a complete design overhaul. Using architecturally detailed design tailored to each unique home, Lundsay and Carano takeover and makeover every space to look brand new. 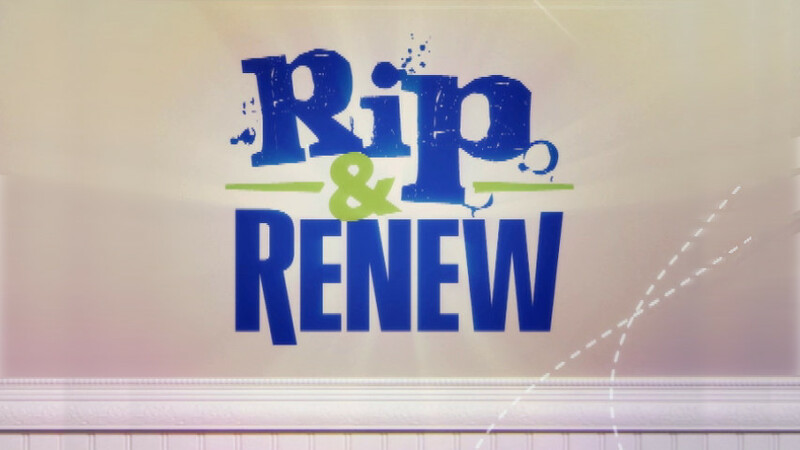 On Rip and Renew, we share insider tips, tricks and solutions to turn your old place, into a fresh new space that is sure to wow your guests. Stunning before and after results, as well as how-tos for viewers at home make Rip and Renew a must see for any homeowner. Check out HGTV.com for step by step instructions of every project!